Given the heartfelt reaction the comics community had to the untimely passing of Dwayne McDuffie last month, it's not surprising that DC Comics ordered production of a special one-shot to honor the beloved writer and animation producer. Static Shock Special #1 was solicited for this June and features contributions from a number of McDuffie's friends and colleagues from Milestone Media, the company he co-founded in the 1990s to publish the original Static and other new titles. One old collaborator who declined to take part in the endeavor was Tommy Lee Edwards. The artist of Milestone's My Name is Holocaust took public issue with the nature of the Static Shock Special, claiming that DC Comics would donate none of the comic's profits to McDuffie's family or a charity despite its being billed as a "tribute". Edwards' remark caused some controversy within the community and has prompted DC Comics to make a statement clarifying the situation. The day after DC released that solicitation, Tommy Lee Edwards tweeted, "DC is planning a Dwayne McDuffie "tribute" book, but has no plans to donate profits to the poor guy's surviving family or any charity." Along with many other Milestone alumni, I was approached by DC to take part in a special Static Shock Dwayne McDuffie Tribute comic. And like many colleagues who have nothing but thanks and admiration for Dwayne, many of us would do anything to fit such a project into our schedules. I'm busy as hell, but obviously wanted to take part in a one-shot comic that paid homage to Dwayne's legacy as a writer and visionary publisher. The editor was about to send me a voucher, when I suddenly thought about the financial aspect of this book. What do you mean, voucher? I didn't want to get paid. Wait, where is the profit going from this book? To Dwayne's family or to a charity, right? DC told me no. They see this as a Static book that features Dwayne. Not a book strictly about Dwayne. But it's still a Dwayne tribute book? So I declined to take part, and so did at least one other Milestone alumni. I'm glad that DC is doing more business with the Milestone characters, but there will be better ways to honor Dwayne's memory in the near future. 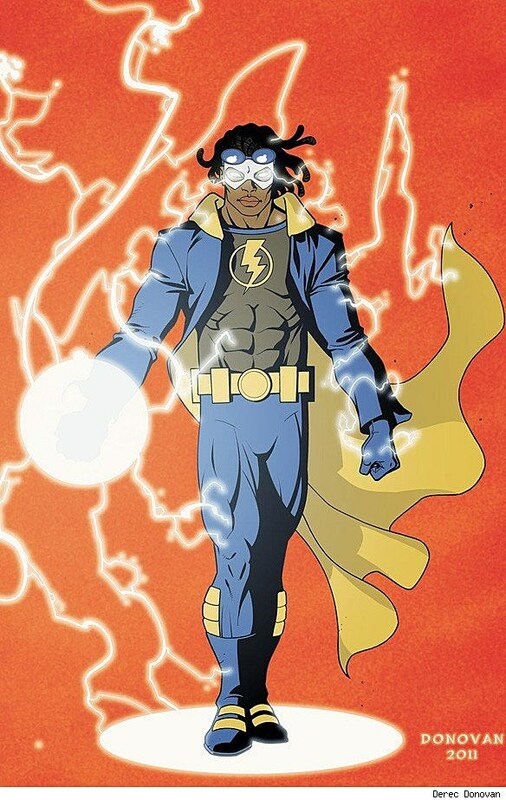 Before Dwayne McDuffie's tragic death, an editorial decision was made to reschedule the planned, ongoing STATIC SHOCK series for later this year. When we heard of Dwayne's unexpected passing, we decided it was appropriate to have an oversized STATIC SHOCK comic book this spring, with the ongoing series still starting later this year as planned. This June, Felicia Henderson, Denys Cowan, Prentis Rollings, Eric Battle, John Rozum, Matt Wayne, John Paul Leon and others will contribute to a STATIC SHOCK Special, with a cover by JH Williams III. This Special is our way of acknowledging the industry's loss. It is not a tribute comic intended to raise proceeds for charity. We regret if there was any confusion regarding our intentions caused by the solicitation of this project. DC's original solicitation copy for Static Shock Special #1 does not seem to suggest that it's unusual in the way that some other "tribute" books have been, such as Superman/Batman #26, where its creators donated their fees and royalties to a college scholarship fund in the name of comics writer Jeph Loeb's son, Sam, who died from cancer when he was just 17-years-old. The subsequent press release confirms that, leaving us to conclude that this was all an unfortunate matter of semantics -- "tribute" and its connotations versus "homage" and its connotations. Edwards apparently misunderstood the nature of the McDuffie tribute, or the nature of it was accidentally misrepresented to him. It must be noted that while DC Comics is the publisher of Static Shock Special #1, Milestone Media retains the copyright on Static and the other Milestone characters. Presumably, McDuffie's estate will continue to receive any royalties and other fees associated with his work, and it's likely that Edwards' concern about payment to McDuffie's family was not warranted. However, as Edwards and our own David Brothers have observed, there are no doubt grander, more meaningful ways to pay homage to a creator as popular and accomplished as Dwayne McDuffie. For all we know, such projects may be forthcoming, and there may yet be further -- hopefully many -- opportunities for Edwards and the rest of the Milestone creators to again share space between the same covers. For some great tributes/homages to Dwayne McDuffie and the Milestone canon, be sure to check out Project: Rooftop's Static: Redesign of the Cool feature.